Do you accept payments online? Can I pay online? These are the questions that business owners are asked on a daily basis. Online payments have become a part of doing business, and here at Zoho, we try to make them as simple as possible. Zoho Invoice is popular with freelancers and small business owners, who appreciate the ability to create and send invoices and collect payments from anywhere. Similarly, Square has revolutionized the payments game and become a payment gateway of choice among business owners. If you are looking for a safer, swifter and smoother way to accept payments online, we hope you’ll be as excited as we are when we tell you that Zoho Invoice and Square have integrated with you in mind. 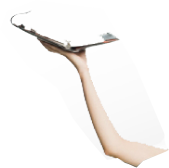 How does the integration benefit me and my customers? If you haven’t started accepting payments online, now is a great time to start. Whether you need one-time or recurring payments, with Square, getting paid is a matter of just a few clicks. Your customers can pay invoices directly using the link in the invoice email or through the Client Portal. 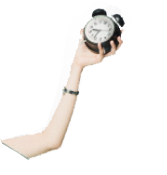 Worried about having to manually change invoice status? Once a payment is received, Zoho Invoice automatically changes the invoice status to paid or partially paid, depending on the payment amount. See up-to-date invoice status without the trouble of manually updating it after every payment. You may already know how much a thank-you note or payment acknowledgement can do for your business. Once your customer makes a payment, Zoho Invoice sends out a thank-you note along with the payment receipt, making your customer service even more thorough and personal. And if there is a failed transaction, you will receive an in-app notification so you can get in touch with your customers and work with them to resolve the failed attempt. The personal touch has never been so efficient. The Zoho Invoice-Square integration is free of charge and free of hassles: there is no sign-up fee, monthly fee, or long-term commitment, and you only have to pay when you make a sale. Just sign in to Zoho Invoice, navigate to Settings, and select Integrations. You will see Square listed under Payment Gateways. To start the integration, click Setup Now. You can also head over to our help documentation to learn more about how to set up the integration. If you have trouble figuring out a step or two, reach out to our stellar support team at support@zohoinvoice.com. 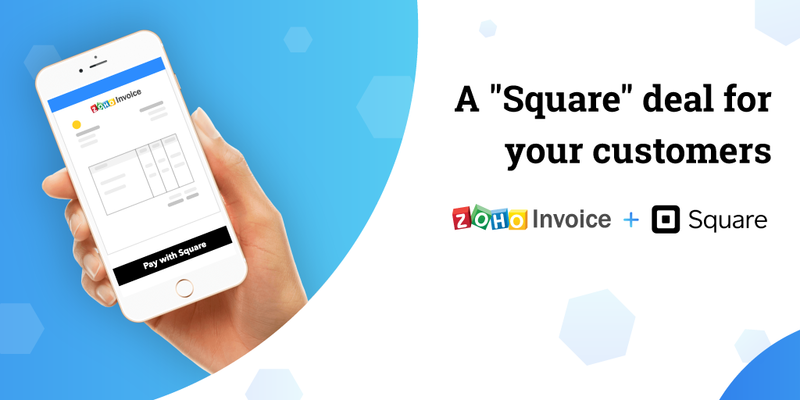 Integrate Zoho Invoice with Square. Simplify your online payments.